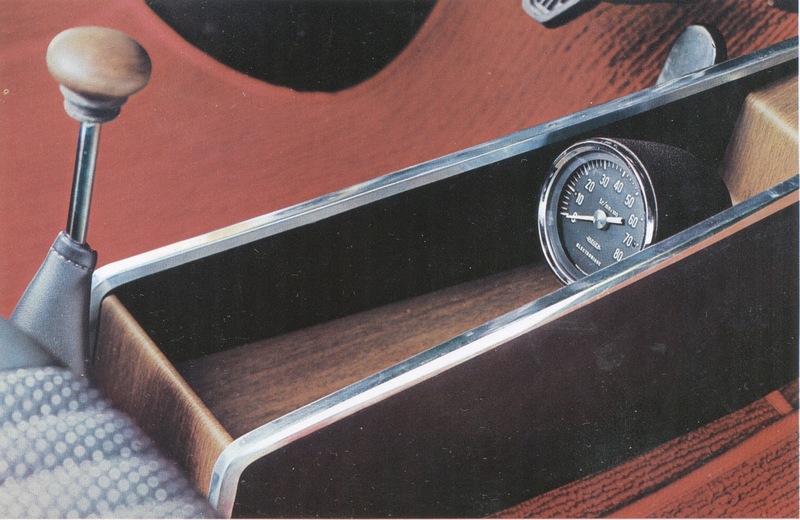 additional instruments so you have everything under control! 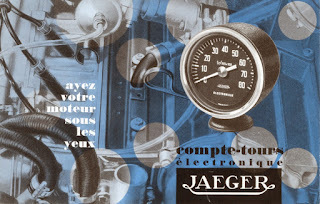 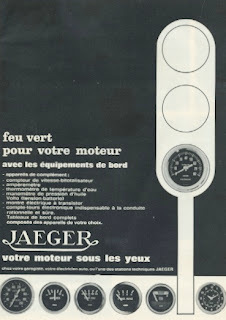 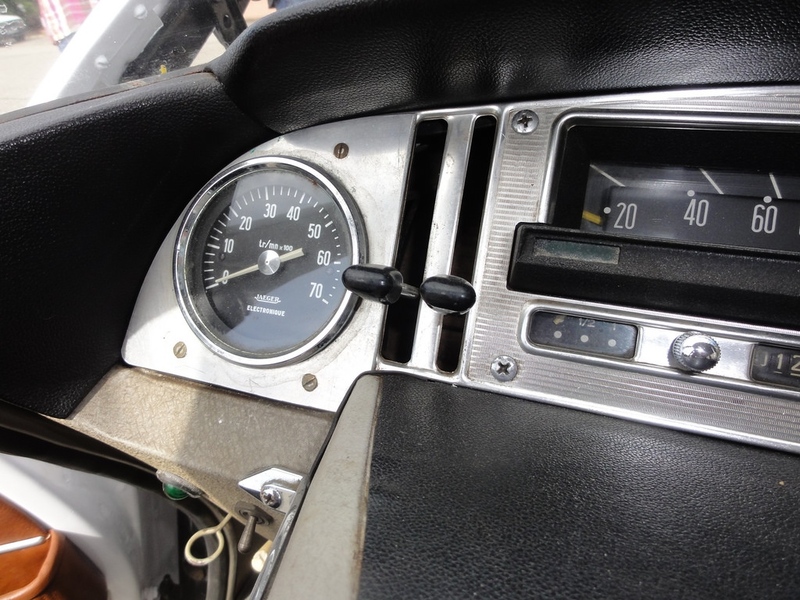 The era of the jaegertableau actually started with the electronic rev counter. 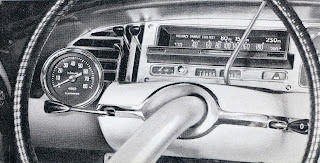 This instrument was first used as an extra on several french cars, placed somewhere on the original dash. 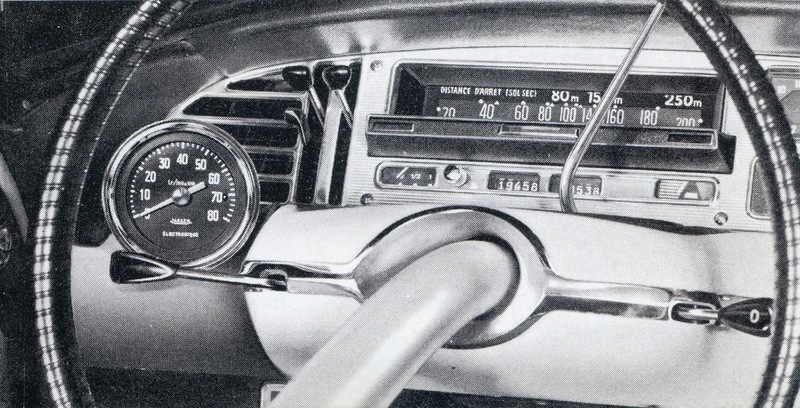 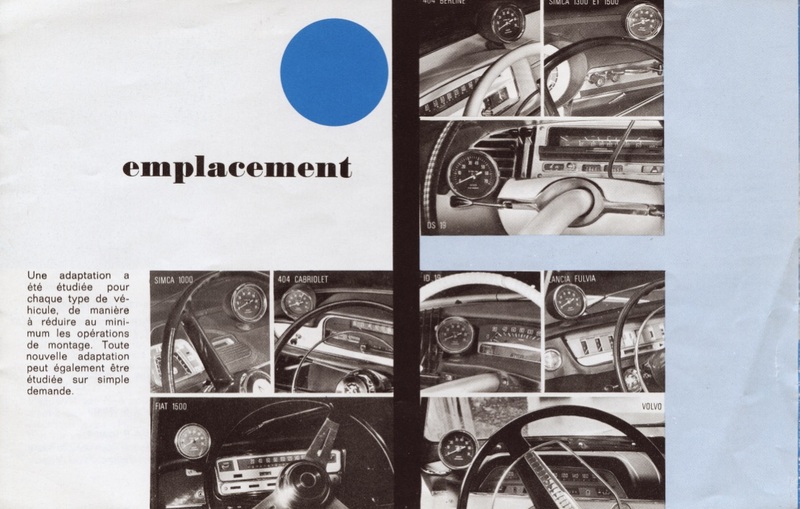 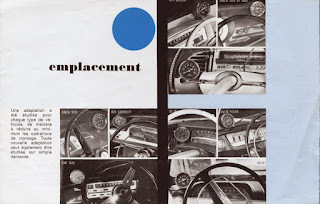 Here some pictures from the brochures, and an very original solution in a 1962 DS. 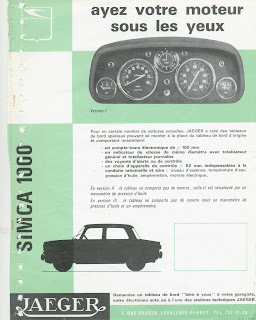 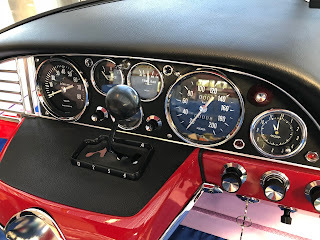 The installation place in the 1968 Simca 1000, which I found in an italian brochure of the Simca 1000 Special, is very weird, since when you have your eyes on the motor, you don't have your eyes on the road!